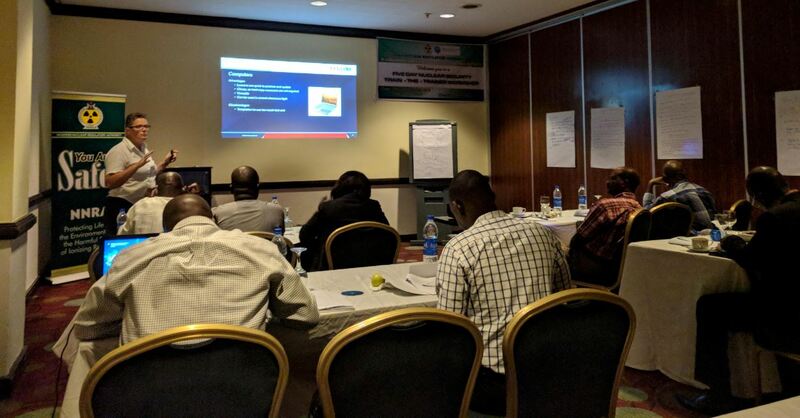 On 27-31 August 2018, the Nigerian Nuclear Regulatory Authority (NNRA) and the World Institute for Nuclear Security (WINS) successfully conducted a training course in Abuja, Nigeria. WINS organised a Train the Trainer course or twelve selected Nigerian delegates to increase their skills and competencies in delivering nuclear security related training sessions. By the completion of the course, participants acquired the necessary information and knowledge related to pedagogical skills associated with being an instructor. In particular, they acquired group management and communication techniques to effectively conduct training sessions. Finally, participants had the knowledge and experience necessary they need to deliver their own successful training sessions and other effective learning events on nuclear security matters. Trainees participated in a five-day train the trainer course. WINS Project Manager introduced participants to the best practices for assessing the need for skills and competencies in nuclear security matters, whereas experts in adult learning and training from Redline (UK based company), focused on the development of pedagogical skills associated with being an instructor. After attending and successfully completing the train the trainer course, Nigerian delegates received a certificate and a Trainer Guide that helped them in the delivery of training courses.